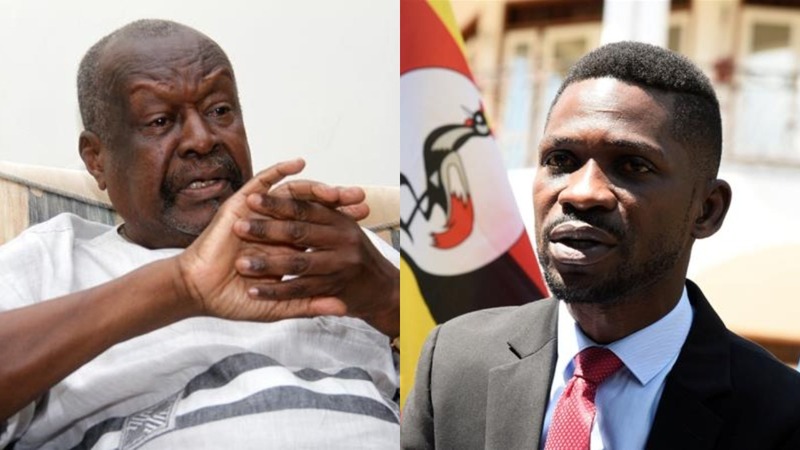 KAMPALA – The Senior Presidential Advisor on Media Relations, Mr John Nagenda, has said Kyandondo East MP Robert Kyagulanyi aka Bobi Wine, Gen Mugisha Muntu and Dr Kizza Besigye lack the credentials to lead the country. Mr Nagenda instead said that the next president will come from the ruling National Resistance Movement (NRM) party, urging President Museveni to announce a successor early enough to avoid what he described as a catastrophe. “Mugisha Muntu was a reasonable leader of the army and he is well spoken but I would not expect him to make a good leader. Dr Kizza Besigye has stood 4 times, losing very easily every time and bleating that he was cheated,” he said. “I believe Bobi Wine is a good singer but to become president, maybe in 20 years if he starts now,” he added. Mr Nagenda made the remarks on Monday morning while appearing on NBS TV’s morning show on Monday. He added that whereas People Power movement is gaining ground, NRM is still strong. “I thought my late friend Eriya Kategaya would have made a good President especially since he knew many people in the movement. People power is what we have, NRM has more people than anyone else. If Bobiwine’s People power wins over Museveni’s people power, It will be completely disastrous. FDC is a strong wave although it is becoming weaker. Democratic Party for some reason has never been ready to take over power,” he said. Nevertheless, he acknowledged that Museveni is a strong-minded person who does not easily take advice. “It would be very rude to say that the President has deaf ears but the President is a very stubborn person, he knows his worth and is a very fair person too,” he said.